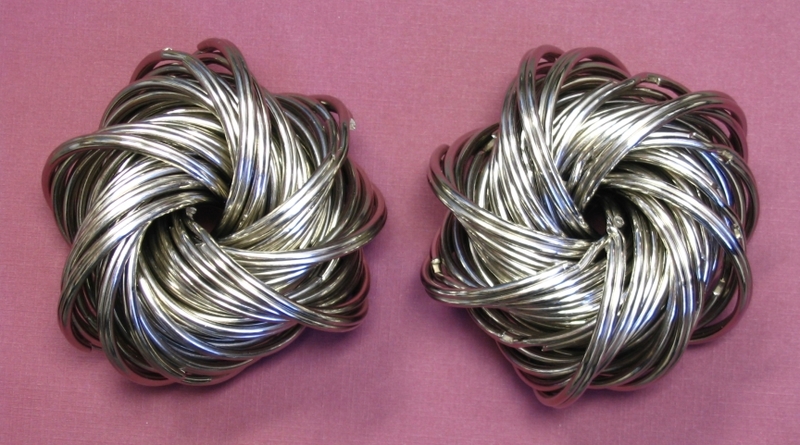 The model pictured has 50 steel split key rings, each with a diameter of 2.25 in (5.7 cm), and, of course, assembled so that each pair of rings constitutes a Hopf link. Another defining characteristic of the model is that each triple of key rings has the same topological orientation, as an imbedding in 3-space, as every other such triple. 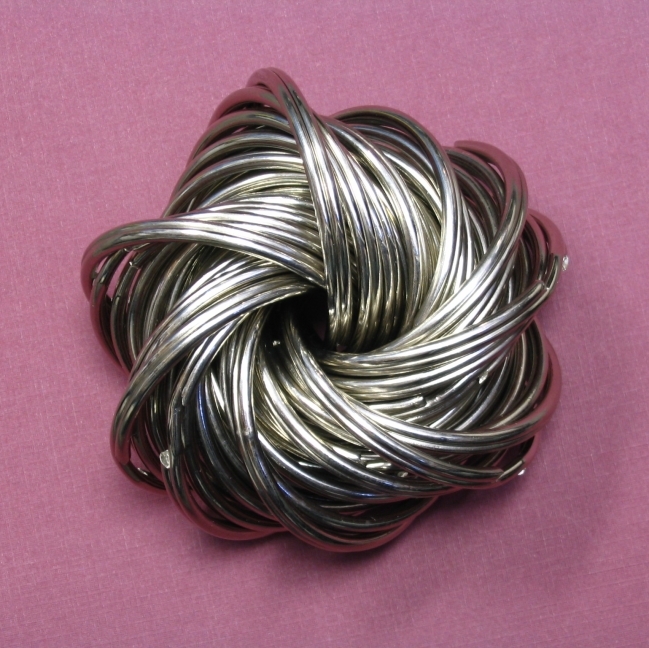 Of course, since the Hopf fibration is comprised of a continuum of infinitely many key rings, the model represents merely an approximation of the Hopf fibration. One may also argue that it is not a particularly faithful model because it does not respect the metrical properties of stereographic projection. Nevertheless, it is a remarkably simple and intuitive model, faithful to several of the critical properties of the Hopf fibration of the 3-sphere. One way to interpret the existence of these distinct orientations goes as follows. The 3-sphere is a Lie group and the circle is a closed subgroup. The Hopf fibration corresponds to the partition of S3 into cosets by left- or right-orbits of the circle subgroup. Since the group S3 is non-abelian, the partitions into left cosets and right cosets are distinct, thus yielding the two distinct orientations as pictured.